ONEN has organized a special security forum for our neighbors. We will have presentations & discussions with Colorado Springs Police Department (CSPD), Colorado College (CC) & Cheyenne Mountain Security (CMS). Neighbors will have the opportunity to ask questions and voice their security concerns. This is free and open to the public so feel free to bring any family or friends along with you. Refreshments will be served. 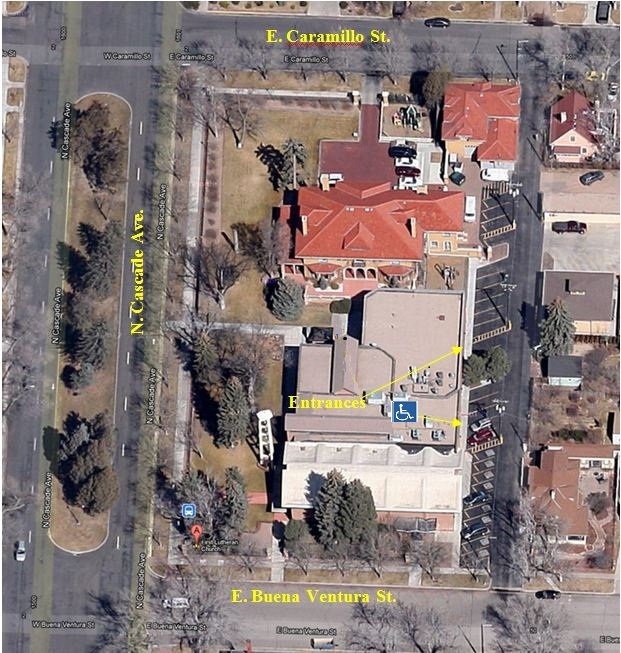 Handicap Access: Handicapped parking and automatic opening doors in the alley behind and on the East side of the church campus (enter from Caramillo St) The elevator is located just inside the automatic doors.